Very Good. 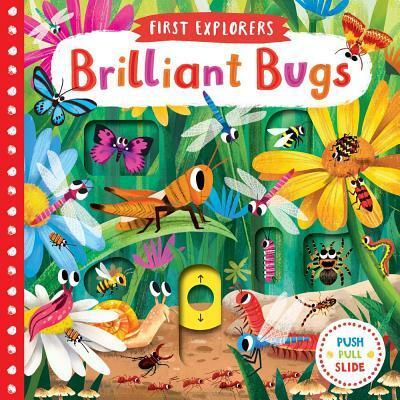 A first novelty board book for young children about bugs, with push, pull and turning mechanisms. 10 p. First Explorers . Includes illustrations. Intended for a juvenile audience. Good. A first novelty board book for young children about bugs, with push, pull and turning mechanisms. 10 p. First Explorers . Includes illustrations. Intended for a juvenile audience. New. . 2018. Main Market. Board book.....We ship daily from our Bookshop. New. 10 p. First Explorers . Includes illustrations. Intended for a juvenile audience.